Thought it would be fun to enter a photo challenge. I haven’t done it in a while and would like to join in again. Hope you have just as much fun as I.
I tend to always put things in light of scripture. That’s just where my heart and head tend to be. In thinking about feet, I’m reminded of all the places I’ve been. Our feet mark our territory that we’ve gone over, are in or are going to cover. When we put ourselves in the right frame of mind and strategically move forward, we have success. Move forward in what you know is right and good. Enjoy the benefits of the fruit it produces. Rejoice in the areas that may have been difficult to walk through, but you made it through regardless. Our feet are an important part of our being. In the last season of my life, my feet were very important. Over the past two years I had set some running goals and found photos to reflect. In the last two years, my goal was to complete official runs. Seeing that I am not a “runner” this was an exciting time!! Nothing like goals where you’re feet will take you. 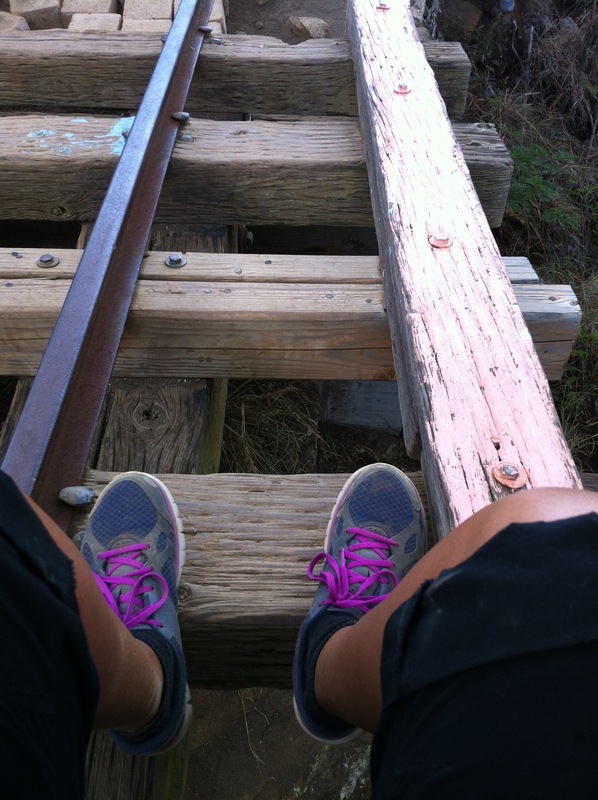 Koko Head Crater Railway Trail 1,048 railway tie steps!! Feet! What a fun challenge. I’m glad I took it on. If you are interested in weekly travel themes join in over at Where’s my backpack. I wish I could say I took these shots in silhouette on purpose, but… don’t think I did, but fit the theme of the challenge. Isn’t that great how that turns out to happen. This first photo was from my backyard. I enjoy taking shots and documenting all the growth, changes and simple beauty. The sun shining through the fronds of the palm leaves, reminds me of the “new hope” we have present with the brightness (whether internal or external) of each new day. Inside the house a beautiful array of dancing flowers: tulips. I enjoyed learning the fact that they “dance in the vase.” It is said that tulips continue to grow even after being cut. They are in constant search for the source of light so they move, stretch, bob and grow. 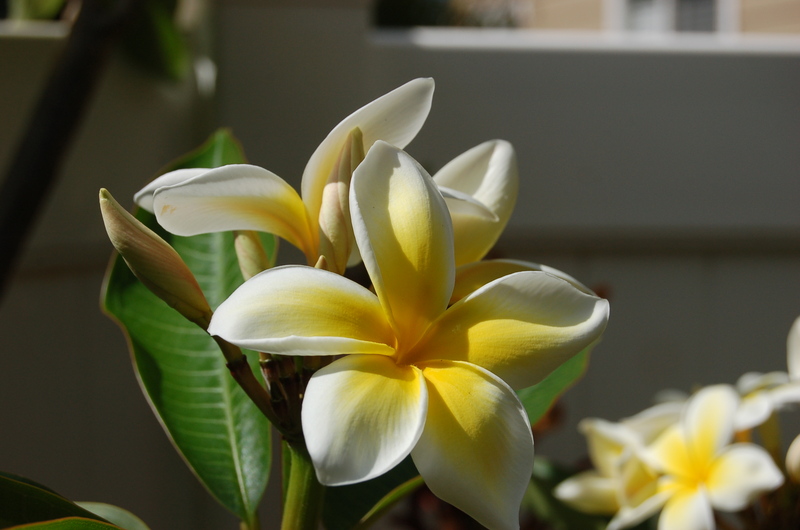 Their blossoms open in the day and close at night. One of my many favorite places to steal away for quiet moments are the Lagoons at Ko’Olina on Oahu. What beautiful sunsets can be captured there. Day, evening or night, that’s such a nice place to be. So there you have it, silhouettes…I just realized mine just happened to all be from nature. Guess, that’s just where my heart is. Hope you enjoy the look see. I had fun finding the photos in my collection. Meet each new day with a heart wide open for new possibilities! !